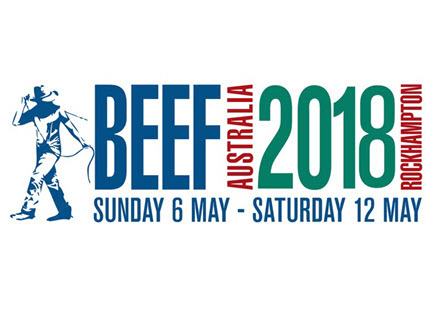 Get ready for Beef Australia 2018! The countdown is on for Australia’s national beef expo, Beef Australia 2018, which kicks off in Rockhampton on the 6 May for a full week. Tickets go on sale 19 March, so be sure to grab yourself a ticket and join the nation’s premier beef expo! This event celebrates our beef industry, which had an off-farm value in 2016-17 of $16.85 billion for Australia as a whole and is expected to be worth $5.38 billion in Queensland in 2017-18. The Queensland Government is a principal partner of Beef Australia 2018 as part of its commitment to work together to build a sustainable beef industry in Queensland. It will have a large presence in the Sidney Kidman Pavilion, where ten agencies, including the Department of Agriculture and Fisheries, will provide a one-stop-shop for all things beef in northern Australia. There will be more than 500 trade sites, a showcase of more than 4500 cattle from 30 different breeds, celebrity chefs and cooking demonstrations, plenty of social events, a symposium, seminars, property tours and lots more. At the Beef Australia 2018 Seminar Series, the Queensland Government will provide updates on the latest research, extension and development work being conducted by industry-leading teams of beef experts from across the state. Seminar presenters will be available for more information throughout the week at the Queensland Government display in the Sidney Kidman Pavilion. You’ll also meet our DAF beef extension officers and see what the many Queensland Government projects and programs can offer your beef business. New to the expo this year is the Pitch in the Paddock. The program gives entrepreneurs and start-ups the opportunity to compete for prizes and the attention of leading business minds and industry experts. If you’ve got a great idea, product or service that can make a difference in the beef industry, pitch it with a three-minute video! And get your entry in ASAP, submissions close Friday 9 March 2018. Visit www.beefaustralia.com.au to find out more about Beef Australia 2018.